Yes fiendish oops! 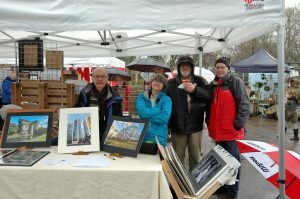 – friendly feed back from members to members showing prints. We had a great time with the illuminated display board out and members bringing to the front prints for comment. Now here’s one you all. Les brought out an image taken back at the dawn of mass digital cameras. The image was taken with a 3 Mpixel camera (his first) and at the end of his presentation we juxtaposed it against an image taken with his latest camera at 16 Mpixel. Ok, the images were around A4 but we could not discern any significant difference in the quality between the two images. So, if you folk out there think “oh but I don’t have an expensive camera”, worry ye not and don’t let it put you off from joining our fantastic club. 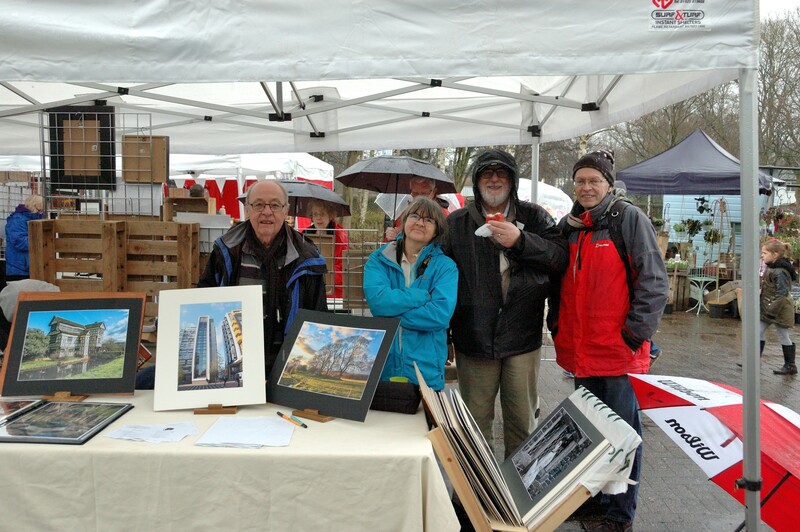 It was artisan market day today in Urmston town centre – this time at the markets new location! We were there too with a stall. We were guests of ‘Urmston on Bloom’. In case you have not heard, this is an organisation of great people, active in helping get our local parks back to looking nice for the summer and autumn – and winter — and spring! Making them places people feel they want to be in, just to soak up a little of the atmosphere we get from being surrounded by trees, hedges, flowers and open green space to sit or play in. That was the principal behind town parks…..a little bit of the country side we left behind after we migrated into the environs of major industrial centres. All power to their elbows! We have been asked, as a camera club, to record this effort by providing an archive of images covering the work they are doing. We will do our best! 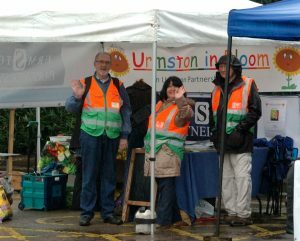 Urmston In Bloom giving us a wave.